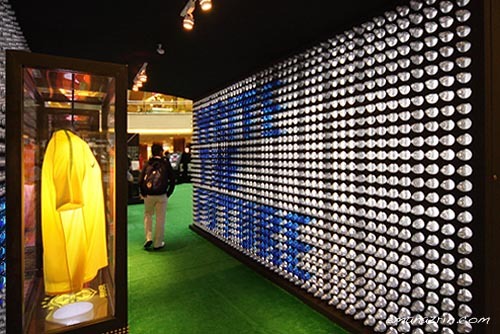 Nike’s WTF moment. Hahahaha. 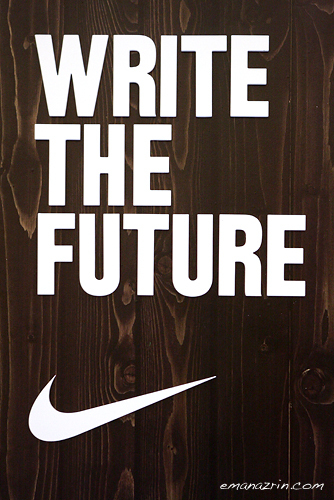 Actually it’s Write the Future. 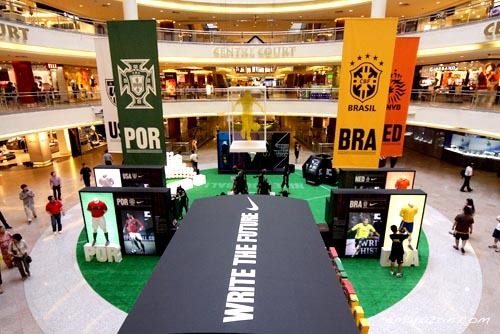 Nike’s having this promotion going on in conjunction with the 2010 South African World Cup. They have an ad now that’s airing on TV, as well as being available on youtube. It’s a pretty damn good one, and if you have 3 minutes to spare, just take a look. 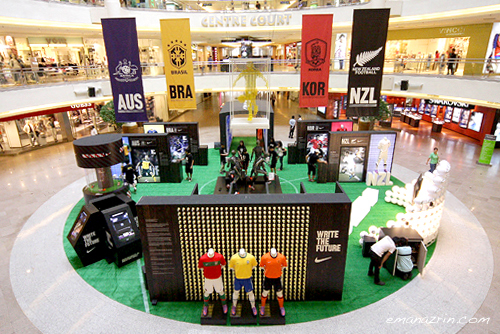 There’s also an exhibition going on in Midvalley Megamall, which looks pretty interesting. It’s more of a showcase, you don’t actually get to do things, just look and go “Ooooh”. You are currently reading All the Leaves Are Brown, And the Sky is Gray at Eman Azrin Azhar.